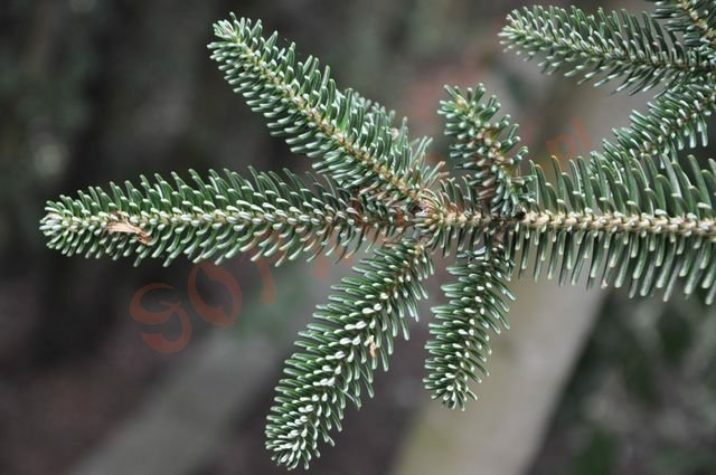 Abies × vilmorinii, first described in 1901 by Maxwell Tylden Masters (1833–1907), is commonly known as Vilmorin's fir. The epithet was named in honor of Pierre Louis François Lévêque de Vilmorin (1816–1860), who is famous for developing a theory of heredity in plants and recognized that it was possible to select certain characteristics of a plant and develop new varieties displaying the chosen characteristics. In 1856, de Vilmorin published his "Note on the Creation of a New Race of Beetroot and Considerations on Heredity in Plants," establishing the theoretical groundwork for the modern seed-breeding industry. 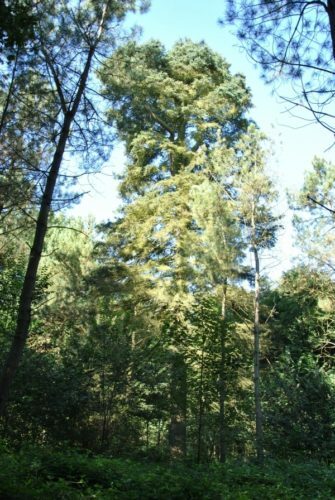 This plant is a artificial hybrid of Greek fir (A. cephalonica) and Spanish fir (A. pinsapo), produced by Vilmorin in 1868 in Verrièrre-le-Buisson, near Paris, France. Description. Vilmorin's fir it a large-growing coniferous tree with a broadly pyramidal structure and a trunk up to 3 feet (1 m) wide at breast height. The bark is reddish and wrinkled. Branches are glabrous in texture, ashy-gray, stout and very long. Branchlets are crowded, widely decurving or entirely hanging down. Leaves point directly upward, nearly pectinate on the underside of the branchlets, 0.8 to 1.2 inches (2 - 3 cm) long and 0.12 inch (3 mm) wide, with a sharply-pointed apex, leathery, stiff and dark-green above; bluish-green and strongly keeled beneath. Seed cones are abundant, spindle-shaped, narrowed to the base, shortly conical at the apex, 5.5 to 8 inches (14 - 20 cm) long and 1.6 to 2 inches (4 - 5 cm) broad. The Champion Tree can be found in Arboretum Tervuren, Tervuren, Belgium. The 112-year-old specimen stands 101.75 feet (31.80 m) tall with a 11.0 foot (3.47 m) girth when it was measured in 2011. Abies x vilmorinii — foliage detail. Abies x vilmorinii — the champion tree at arboretum Tervuren, Tervuren, Belgium.